The Green Party and UKIP have both announced candidates for next year’s elections. 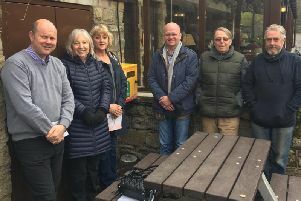 Writer and lecturer Jenny Shepherd has been selected as the Calder Valley prospective parliamentary candidate and freelance university lecturer Elizabeth King has been selected to contest Calder Ward on Calderdale Council. Paul Rogan, former Conservative councillor for Rastrick who stood in the 2010 election for the English Democrats in Calder Valley, will stand as the UKIP candidate. Ms Shepherd said: “Politics is the process where we all decide how we can best live together, and these decisions need to be based on the knowledge and experience of the widest range of people.